Summer is finally winding down, but the temperature sure hasn't. I generally keep it pretty easy breezy during the Summer, and these pieces from H&M are tight up my alley. This striped resort shirt is just right for cruising the street downtown. I love how it flows and it just makes it really easy to be cool and still look stylish. 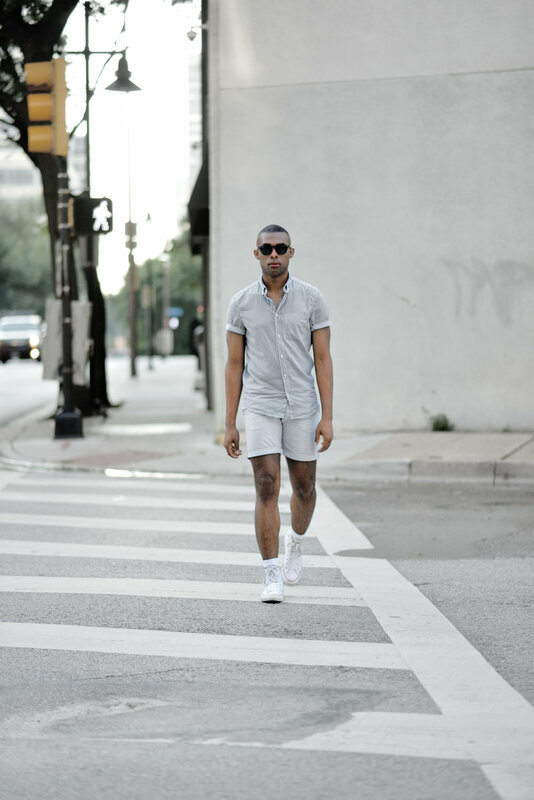 I also really adore these linen blend shorts as well. They are super light-weight and go with just about anything. This will be my uniform for sure until it really starts to get cold.